A beautiful blade – almost a work of art. Five wood plies – one Zephylium – one X-Carbon. Unique jointless wood. An offensive plus weapon for the top player. FL. ST.
An amazing marriage of wood and composite material. Zephylium Carbon close to the core ply creates a solid feeling to the blade. High spin properties, accurate and powerful ball control, combined with explosive speed make this blade a surefire winner. 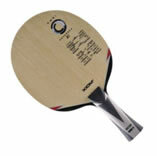 A 7ply professional blade with balanced offensive and sharper feel. Intimidating spin dynamics and great control. For the accomplished attacker!! 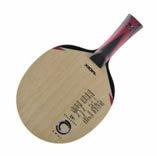 A 7ply Zephylium blade, natural but sharper feel,great speed, heavy spin capability. The new European Power Blade!! Extremely versatile blade. All wood aggression. Good for both backhand/forehand topspin. Soft and mild feel. Can be used with most Xiom rubbers by modern offensive players. Blade protection is recommended. Piercing speed and destructive power from this 7 Ply blade give you the supreme edge at middle distance power play, and close to net speed play. Traditional 5 Ply tuned to offensive play. Great speed performance and excellent touch and control. Classic allround blade. 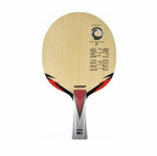 Lower and controlled speed – perfect for traditional allround player. FL., ST. All Round Lightweight Hinoki carbon for sharp and creative offence. Suitable for fast attackers and a perfect match with Omega and Zeta Asian series rubbers. Spin machine! 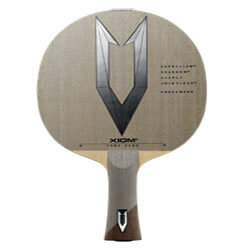 Very good for topspin attack. Replaces Xiom Control blade. Feel is soft and mild. Thick blade, recommended for European offensive players. Very comfortable, unique piece of equipment. 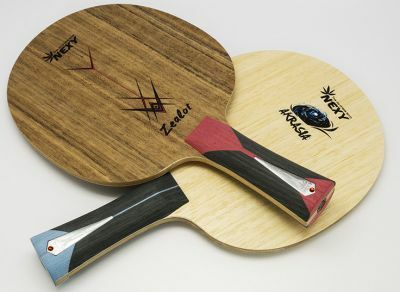 5 ply wood + 2 ply Zylon + 2 plys Soft Carbon. Very versatile and easy to use. Really good control. Feels very alive in the hand. 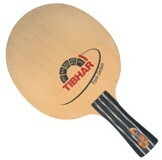 Ideal for continuous topspin play. 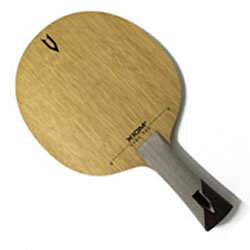 Blade for the “Joy Of Table Tennis”. Good with Omega 2 Europe. Defensive blade suitable for a mixture of steady defence and counter attack. Defensive and allround players will like this blade. Long pimples recommended for backhand side. 5 ply wood. 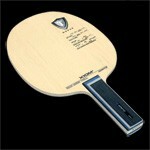 Standard offensive blade for top players, giving sharp contact feel. Very good for both backhand/forehand topspin play. Good with Vega Pro for top players. 5 ply wood + 2 plys Aramid Carbon.